E.coli still remains prominent in the news and recalls of product seem to be happening all too often. What is being done to remedy this? An article written in the NY Times last December, After Delays, Vaccine to Counter Bad Beef Is Being Tested , describes how the meat industry is testing a new cattle vaccination to help make cattle immune to a dangerous form of the E. coli bacteria that is resistant to the acidity of the human stomach. I believe that by vaccinating the cattle, we are only treating the symptoms and not the cause. Research conducted by Cornell University, Cattle diets could control E. coli danger , shows that cattle fed a grain based diet promote the growth of harmful acid resistant E. coli, and that just feeding cattle hay for five days before butchering, will “dramatically reduce” these forms of E.coli. 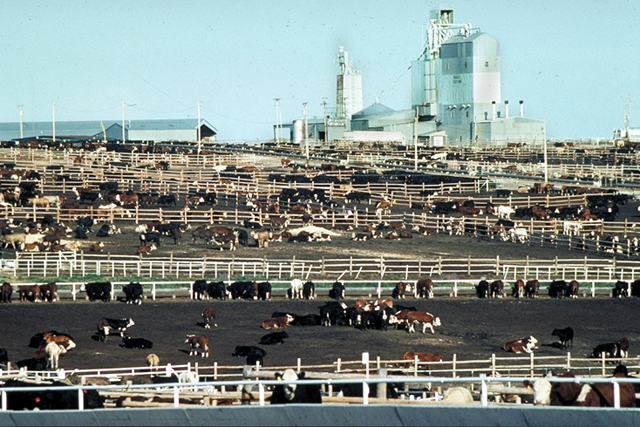 Imagine if the cattle ate just grass or hay and did not stand knee deep in their own feces.